Hello, is there any way someone can tell me what this is on my peaches? Are the peaches still edible? My tree this year suffered from Peach Leaf Curl. Thank you for your help. 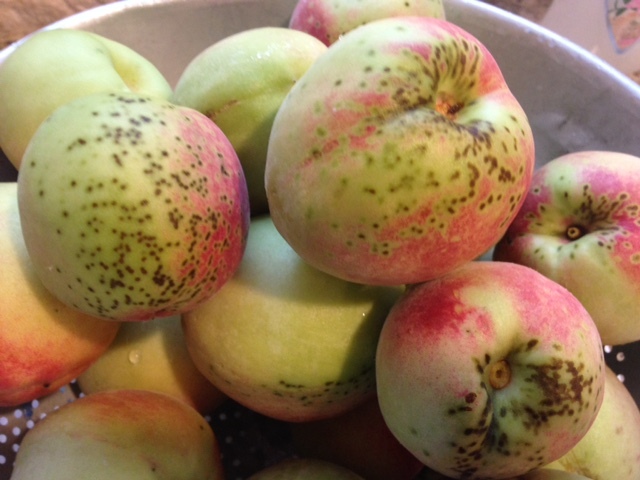 What you have on your peaches looks like peach scab caused by a fungus (Cladosporium carpophilum Thuem). The fruits are still edible.